Introducing your baby to solid foods can be tricky - especially for first-time mums - as it could be difficult tracking the readiness signs of your baby, let alone knowing what solids to start with. Experts usually advice introducing solids when your baby is around 6 months old. However, it does differ from a baby to another, that’s why you need to follow your baby’s readiness signs. How can I tell when my baby is ready for solid foods? Your baby can keep his head steady in an upright position. Your baby can sit well when supported by a chair or seat. Your baby has doubled his birth weight, and weighs not less than 13 pounds. 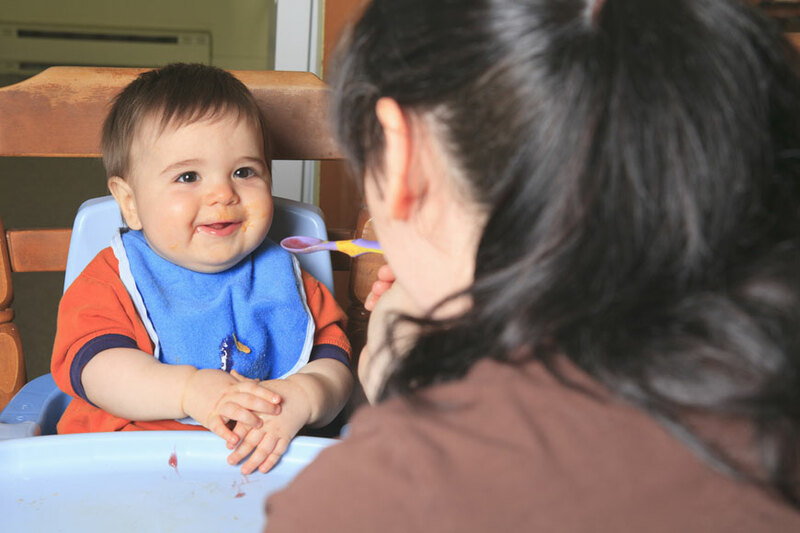 Your baby starts showing curiosity for foods, by opening his mouth when offered a spoon, eyeing and reaching for food. What foods to start with? Each baby’s needs are different, so it is advised you discuss introducing solids to your baby with his doctor. However in general, most infants can start with pureed single-ingredient foods, with no added sugar or salt. This means, mashed sweet potatoes, pureed bananas, peaches, pears, squash, and applesauce. A lot of mums prefer introducing cereal to their baby’s at first, however, there is still no medical evidence that this has any health benefits. It is advised also to include some meats like chicken or turkey to replace the iron stores. As these start to diminish around the age of 6 months, and meats are rich in iron. Keep in mind to introduce solids to your baby gradually, one at a time. Leave a time period of at least 5 days before trying another new food, to help tell if your baby is allergic to any food. Start with pureed and semi-liquid foods, and then move to mashed and small portions of finger foods.